I received my copy of The Curse Of Europa through the Goodreads FirstReads program. It was even inscribed by the author, which was kinda cool. I have to say that the book was really well researched, or at least appeared to be. Not being an expert myself, I’m giving Mr. Kayser the benefit of the doubt when it comes to his sources. He does mention Dr. Britney Schmidt as his source for a lot of the science, and I think it would be fair to say that he based the premise of the book on one of her scholarly papers. The plot of the book, while maybe a bit predictable, is at least fairly thrilling. Unfortunately, the narrative itself is incredibly mediocre. Not bad, just…mediocre, which is sad, because I really wanted to like this. One always wants a self-published novel to turn out to be excellent, but aside from praising his research the best I can say this time is that Mr. Kayser shows good potential. The year is 2056, and mankind has taken to the stars. Well, star. We’re still working on exploring our own solar system properly before going any further. After numerous failed probe missions to Jupiter’s icy moon of Europa, the Global Space Organization is sending a manned expedition to test for liquid water and, if they’re incredibly lucky, life on the barren moon. The previous failed missions have led to talk of a curse (thus the title), but for the most part the crew of the White Bull 2 dismisses this as ridiculous. What will they find on–and below–Europa’s icy surface? Well, I’m not going to tell you, but it would hardly be spoiling things to tell you that everything does not go as planned…. Like I said, I wanted to like this. The science seemed well researched and thought out, at least to my amateur eye, but the narrative itself…well, it could have used some more work. The main issue is the narrator’s voice. It seems more like a screenplay than a novel, maybe even the detailed outline for a screenplay before the writer goes back in and fleshes things out. The maxim in writing is always show, don’t tell, and I regretfully have to conclude that the narrator here does far more telling than showing. Sometimes we get a full-out scene, but far more often everything is glossed over in generalization. Don’t tell me that Patrick is worried about the curse, put me inside his head and let me see his reactions for myself! There are exceptions, but all too often they feel forced. Too much of the narration feels like set description and blocking, and a disappointing amount of what should be characterization is simply character description. The main couple characters are reasonably developed, but most of the others are merely caricatures. The dialogue wasn’t excellent, but it wasn’t too bad. I’ve seen (and written!) much worse. The plotting was solid, if predictable. There were a few grammatical errors, but not too many for being a self-published book. As a bonus, the book includes numerous CG art images at the beginning of select chapters. This works so long as it is confined to the spectral landscapes and spacescapes, but the lack of color printing really makes it look poorly-done when you’re pulled inside the ship or shown the crew roster. It doesn’t really detract from the experience, but it certainly does the book no favors. I blame it on the lack of a professional publisher. At the end of the day, I have to conclude that this book was simply incredibly mediocre. The good news is that if Mr. Kayser cleans this up a bit and fleshes it out a bit more, this (or his next book, if he decides to simply move on) could be really good. CONTENT: Mild language. Some flirting, but no real sexual content. Brief disaster and monster violence, which I shall avoid describing in order to keep from giving away plot points. This is a shorter review I did a while back on Goodreads, before I really found my footing on this reviewing thing. I’d like to think I could do better now, but it’s in that awkward spot where I’ve read it too recently to want to reread it, but too long ago to review it properly. The third installment of Kim Newman’s Anno Dracula series! I really enjoyed this, for the most part. Still not as good as the first, original entry in the series, but at the same time it was better than the second book which I thought fell a little flat. Newman once again populates his world with a host of borrowed literary, film and historical characters, this time drawing heavily from Itallian horror and crime films in addition to the Bond franchise. (That’s right–Bond! With that cover, are you actually surprised? But I’ll get to that….) A lot of the non-Bond characters and references went right over my head, not being all that into Italian cinema, but that’s not too big an issue. The year is 1959. World War II is over and behind us, and Dracula has settled his exiled house in a Roman castle given him by the Allies in recognition for his aid in defeating the Nazis. But now it seems Dracula is no longer content with his exile as his marriage to the undead princess Asa Vadja is announced. This is obviously viewed with concern by Charles Beauregard, now over a hundred years old and nearing his end, also in Rome where he can keep an eye on his old enemy. Genvieve and Kate are also concerned, but their main focus is Charles’ failing health as he refuses to turn and join them in undeath. Charles’ old firm, the Diogenes Club, has sent one of their top operatives to Rome to investigate the proceedings–“Bond, Hamish Bond.” (Yes, Hamish is the Scots form of James….) Many 007-related references ensue, from other literary characters descibed as Bond’s classic villains (Frankenstein’s Monster is both Jaws and Oddjob, for example) to phrases and titles being worked in (“You only live twice,” says Bond on his experience turning vampire). And against all this, someone is flamboyantly killing vampire Elders….. CONTENT: Mild language. Sexual innuendo, not too overly explicit. Some violence, vampiric and otherwise, perhaps a little disturbing at times. 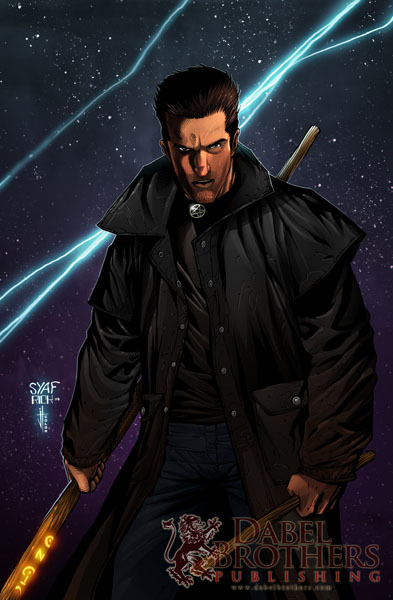 I’m a huge fan of Jim Butcher’s The Dresden Files. You may not have picked up on this, since there’s only really been one book in the series come out since I started doing this review blog, but I await each new release for this series with a fervor previously reserved for new Star Wars books. For me, the start of the series was the Dabel Brothers comic miniseries Welcome To The Jungle. Conveniently, this miniseries/graphic novel (depending on whether you’re reading the individual issues or the hardcover collection) acts as a prequel to the first novel. Now, whether you’re a longtime Dresden reader or are only just discovering the distilled pure awesomeness that is this series, I highly recommend tracking down a copy of this one. When the Chicago PD have a case they don’t know how to explain, they give it to Karrin Murphy and the Special Investigations division. When Murphy thinks there may actually be something supernatural going on, she calls in the only practicing wizard in the Chicago phone book–Harry Dresden. This time, there’s a dead guard at the Chicago zoo. Throat ripped out by a beast with maniacal strength, blood everywhere…including the gorilla cage, which is why the official story is that the gorilla did it. But something doesn’t fit…namely, the gorilla was still in his cage with the gate locked when the body was found. Now unless Harry can figure out just what went down the innocent ape will be euthanized and the killer will go unpunished, free to pursue his or her devilish plot…. I can’t praise this enough, honestly. The writing is pure Butcher, as good as you would expect from having read the Dresden Files novels. There’s all the wry asides, self deprecation, vile monsters and supernatural action that Butcher can throw at you, with the added bonus of being able to visualize the characters and situations. The visual element of the story is really put to full use, especially in the sequence where Harry is running through his list of creatures capable of the violence at the zoo. Also, Harry is freaking tall! It’s one thing to have him tell you this, but to see the way he towers above all the other characters is pretty fun. This is completely consistent with the books too, which is nice. I’m not a huge fan of the collection cover, honestly, which is why I went with the cover to one of the individual issues for the top of the post. CONTENT: Mild language. Violence, sometimes disturbing and bloody. Mild sexual innuendos, nothing too explicit. Occult content….well, Harry’s a wizard. There’s quite a bit of magic, usually operating through Harry’s pseudo-latin spells. My favorite is “flickum biccus,” his spell for lighting the candles about his apartment. There’s a Black Dog, from Celtic mythology, mention of vampires and other stock fantasy creatures, and the implication that Greek mythology has at least some grounding in reality. 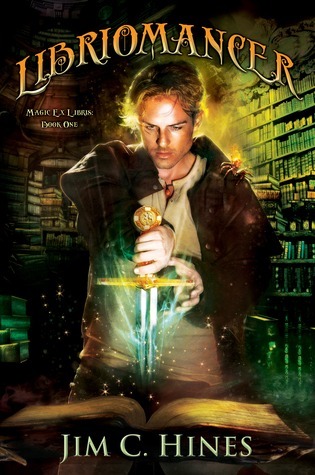 About a year ago, I was walking about in Barnes & Noble killing time and looking at books when the cover of Libriomancer caught my eye. Now, I’ve seen a good deal of criticism of the cover art on the internet, and I’ll admit that there are perhaps a couple issues with it on closer examination, but it served its purpose and got my attention. I snapped a picture of it with my phone, intending to check it out from the library (Hey! I was broke!) and promptly forgot about it. Months passed, and I found The Little Red Reviewer’s blog where she gave the book a glowing review (which you can find here). With it back on my radar, I tracked down a copy…which sat in my to-be-read stack for far too long. Oh well, I finally got around to picking it up, and I have to say that this was a truly incredible ride. Most of us (at least if you’re reading this) know that books are magic. How else are you able to travel faraway lands and have exciting adventures without ever leaving your house? Books have a magic all their own. But for those with the gift, this magic goes even deeper. According to Mr. Hines, there are two factors when dealing with magic: access and form. Access is the innate gift–either you’ve got it or you don’t. Form, now that’s the hard part…you’ve got to have an incredible amount of willpower to form even the simplest object. Or you did, until Johannes Gutenberg hit on the idea of harnessing the collective belief of the masses. Get enough people reading the same book and so long as you have access you can form whatever you want from its pages. So long as it will fit through the book, at least. Then of course there are items deemed far too dangerous to be allowed to be accessed, their books “locked” to prevent Libriomancers from accessing them. No Rings of Power, no time turners, no zombie plagues. Gutenberg runs the Porters as a benevolent dictator, granted immortality by the Holy Grail before he locked it away, and the Porters try to protect the world from the effects of magic run amok, concealing the existence of vampires, werewolves, and any number of other creepy-crawlies. Gutenberg’s Automaton golems serve as his personal enforcers and cops, keeping anyone from causing too big an issue. It’s a system that’s worked for hundreds of years…but now it may be falling apart at the seams. Isaac Vainio is a Porter, pulled from fieldwork after proving he lacked the control necessary to operate safely without endangering himself or others. These days he works as a librarian, cataloging new books and their magical potential for the Porters. It’s not what he’d like to be doing, but he can’t really complain. At least until a couple of “sparklers,” an upstart vampire race more properly known as Sanguinarius Meyerii, crash his library and start demanding to know why the Porters are hunting vampires. The legitimacy of your complaints aside, attacking a Libriomancer in a library? That’s a really bad idea, even if he’s a little rusty. Isaac never was one to leave well enough alone, and he soon discovers that he’s not the only Porter to be attacked. In fact, someone has it out for Porters and vampires alike, hoping to start a war between the two. To make matters worse, Gutenberg is nowhere to be found, and some of the destruction could only have been caused by an Automaton…. Isaac is out to discover just what’s going on, joined by Lena Greenwood, a nymph with her own scores to settle, but with the entire magical world in an uproar there may be little they can do–and few people they can call for backup…. I really enjoyed this book, in case you couldn’t tell. It’s a little pulpy at times, but with more quality than you can reasonably expect from a genre experiencing such a population boom as Urban Fantasy is having at the moment. There were echoes of The Dresden Files in there, but not in a ripped-off sense. Inside this book you’ll find well-written characters, a convoluted plot, heroes, villains, moral ambiguity, mild philosophizing, snarky dialogue, and a narrator who is as big a Sci-Fi geek as I am. And that’s saying something! I see a lot of reviewers on the internet, Goodreads in particular, who have a mistaken understanding of what Mr. Hines was doing with the character of Lena Greenwood. Lena is a dryad, born out of a cheap Gor knockoff. Are you unfamiliar with Gor and its reputation? Count yourself lucky. Short version, it’s a long-running sci-fi/fantasy series by John Norman in which he reveals his fantasies, writing about (and if Wikipedia is accurate, actually advocating for) a society where women are all subservient to men, especially sexually. Lena was pulled from one of the many knockoffs of this series, and being a fictional race is subject to the rules set forth in her novel. Essentially, she’s hardwired to be submissive to the desires and preferences of her lover. Her likes, dislikes, personality, and even to some degree her physical appearance will shift to align with what her lover wants her to be. Bad enough under normal circumstances, but her current lover has been captured by the vampires…. Now, I see a lot of reviewers expressing outrage over how Lena is written, but they’re all missing the point. Unlike with John Norman’s fantasy-fulfillment exhibitionism, which I get the impression was never meant to be anything but, you’re not supposed to be okay with how Lena was written. You’re supposed to be horrified for her, to sympathize, to see what that kind of writing would entail if pushed to its logical extreme. Mr. Hines isn’t being sexist, he’s exposing and protesting against sexism. Don’t believe me? Look up his Wikipedia article, especially the section linked here, and then tell me that I’m reading him wrong. CONTENT: Violence, sometimes a bit disturbing. R-rated language. Sexual content and themes that, while not explicit, are most certainly not meant for younger audiences (See above). This second book wasn’t quite as good as the first one, but that’s to be expected. I thought Genvieve should actually appear as a character instead of remaining absent, a change the author himself apparently wishes he had made based on his commentary. Still, it was most definitely worth reading if you liked the first book, and I am a devoted fan of this series. In fact, I’m reaching the conclusion that I’m a great fan of Kim Newman’s writing across the board…. Here we have the world we left in at the end of Anno Dracula, twenty-odd years later and embroiled in a world war with vampires serving on both sides. New technologies are being tested, from chemical warfare to the newfangled aeroplane. Dracula serves as the Kaiser’s right hand, some say ruling from behind the throne. Charles Beauregard is back again to oppose the designs of the chief vampire, joined once more by stubborn war correspondant Kate Reed as well as the Diogenes Club’s newest addition, the young operative Edwin Winthrop. Will these intrepid heroes be able to discover Dracula’s designs in time to foil them? Or will Dracula and his vampire flyers led by the Bloody Red Baron himself, Baron Richtofen, triumph over the Allies? CONTENT: Violence, including vampirism. Mild sexual content, not too explicit I don’t believe. Mild language. Obi-Wan Kenobi is one of my favorite characters from the Star Wars saga, and if I’m being honest Ewan McGregor’s performance in that role is one of the few highlights of the otherwise-regrettable prequel trilogy. I’m not his only fan–he’s such a favorite that we get adventure after adventure featuring Anakin’s former Master, to the point where I don’t think he ever once had a chance to stop and breathe during the entire Clone Wars. What hasn’t been detailed until now is his exile on Tatooine after Order 66 and the Jedi Purge. You’d think that this would have been covered long ago, given the incredible range of character-shaping events Obi-Wan has just been through, but you would be wrong. 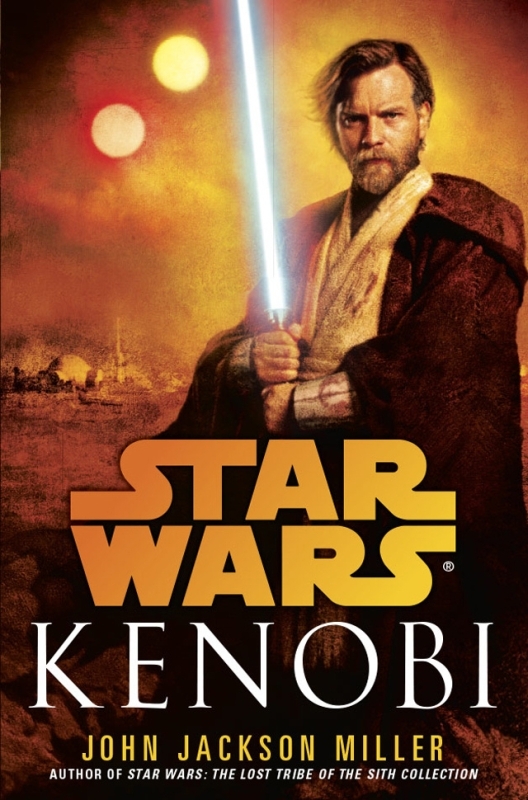 It is only just recently that we have been granted insight into this period of Master Kenobi’s life, but the result is spectacular. Obi-Wan Kenobi is dead. He died on Mustafar after striking down his former apprentice, Anakin Skywalker. Nearly everyone he ever cared for, ever loved, is dead. The Jedi Order, his family, has been nearly wiped from existance by the treachery of Chancellor-turned-Emperor Palpatine and the clone Stormtroopers. Obi-Wan is dead. In his place stands Ben Kenobi, the Jundland Waste’s newest settler. From his lonely hut out in the desert, Ben keeps solitary watch over the Lars homestead and the orphaned boy being raised there. He tries to stay away from the small outposts of civilization that dot the wastes, but can one of the greatest Jedi in the history of the Order ignore people in need? For Annileen Calwell, life continues much as it has since the death of her husband years earlier. Her children are rebellious. Her shop, Dannar’s Claim, is an oasis of hospitality in the desolate wastes, keeping the local moisture farmers supplied, repaired and their thirsts quenched. Everything is normal, and yet this life is killing her with stress and boredom. Trying to learn more about Ben, the mysterious drifter who has taken up residence out in the wastes, offers at least a little diversion, but Ben is stubbornly secretive. And Orrin Gault–neighbor, local land barron, entrepreneur and her late husband’s best friend–has been acting a bit strange. Probably nothing to worry about, but more stress is the last thing she needs…. A’yark’s people are in trouble. The Tuskens have been weakened considerably from their former numbers, decimated a decade earlier when Jabba The Hutt incited war between the Tuskens and the settlers as a way to sell off his stockpile of antiquated blasters. Tuskens are used to hard times, but recently even their spirit has been broken. Three years ago, the strongest of the local warbands was wiped out with no survivors and no trace of any predator. Every man, woman and child was killed, their bodies left to the scavengers. Now the Tuskens are so weak that old traditions are beginning to die out as matters of pragmatism take precedence. A’yark struggles to hold them together, to boost their spirit as much as possible with raids on settlers that fail to properly defend themselves, but the tribe is dying despite A’yark’s efforts…. John Jackson Miller manages to pull off what I don’t believe anyone has ever done before: he wrote a Star Wars western. The elements are all there–ranchers, settlers, merciless natives, the widowed shopowner and the lone wanderer. People just trying to survive in a harsh land beyond the rule of law, where justice rides in your holster or hangs on your saddle or speeder. Beyond that, Miller manages to get inside the head of Ben Kenobi at his most broken–he has been betrayed by trusted friends, seen his family exterminated, and been forced to confront and (he believes) kill the man he has regarded as his brother for more than a decade. Ben is broken, and it shows. This was one of the best Star Wars novels I have read in a good long time, and I hope that Miller is given the chance to play in this sandbox a bit more. This novel stands on its own fairly well, assuming you’re familiar with the movies. There are passing references to Zayne Carrick and Kerra Holt, both characters also written by Miller, but you’ve no need to know their stories in order to understand Ben’s. More significant is the story of Sharad Hett, as the history there plays into the Tusken situation, but you get most of the information you need from the text. If you’re interested, find a copy of the Star Wars: Outlander graphic novel for that tale. Ben also cites his friendship/relationship with fellow Jedi Siri Tachi and the Mandalorian prime minister Satine as earlier lessons in the importance of not getting caught up in romantic emotion. If you’re a longtime reader you’ll know Siri from the Jedi Apprentice series, and Satine comes from the lamentable Clone Wars CGI series. Neither is essential to understanding the story here, but you can look it up if you want. In any case, you should definitely give this novel your attention. CONTENT: Mild language. Mild violence, not too disturbing. Mild flirting, but no real sexual content. I received my copy of Zombie Baseball Beatdown through one of the generous donators over at ARCycling. I don’t know who, but I thank them nonetheless. My copy is an ARC, and so may differ slightly from published versions. * Anyway, I requested this book from the program several months ago because I thought it sounded fun. When it arrived and I read the synopsis on the back, my heart sank. Not because the story looked any less fun, but because I had failed to realize something that would have caused me to stay away if I had known. Zombie Baseball Beatdown commits what I usually consider the cardinal sin for a novel–it preaches. I read for entertainment, not to be preached at, and I don’t appreciate being told what to think. I was more than ready to hate this book for its sins, but I have to admit that once I got past its occasionally-strident moralizing it was moderately entertaining. Rabi and his friends Miguel and Joe are at the park practicing baseball when the apocalypse starts. Not the nice park, that one’s being used by Sammy and his cronies, bullies who make Rabi and his friends’ lives miserable. No, Rabi and company are practicing down by the Milrow Meat plant, in the park that’s only livable when the feed lots and their stench of manure are downwind. It always smells in this part of town, it’s just a question of how bad, but today….today it smells like something straight out of the pits of Hell. The owner (Sammy’s dad, incidentally) goes on TV to explain how this is a planned thing, something about upgrading their ventilation, but Rabi and friends know something fishy is up. And that’s even before a zombie tries to eat Rabi’s brain…. Like I said above, I was all set to hate this. I’ve been preached at too many times by crappy books to have much tolerance for it these days. However, for most of the book Mr. Bacigalupi managed to keep the preaching down to an undertone that was at worst mildly annoying. It usually didn’t feel forced, at least insofar as the observations flowed naturally from whatever was happening. Of course, Mr. Bacigalupi set up the various courses of events specifically to be able to make those observations, so it isn’t completely natural. So what is being preached about? Well, first off there’s the bullying and racism. Not controversial, since nobody really defends the practice. It didn’t really resonate with me, but I’m not the target audience. Then there’s the issue of illegal immigration. Miguel’s family is illegal, and of course they are very hardworking and model citizens. Why on Earth would we want to keep them out? Mr. Bacigalupi stops short of offering a viable solution to the whole immigration mess (not surprising, since I don’t believe there is a good solution) but he does plenty of criticizing. His target? Those (mostly conservative) politicians who want to get “tough on immigration.” I don’t want to turn this into a political post, so I’m going to keep most of my comments to myself, but I will note that Mr. Bacigalupi’s stance (at least as revealed here) is distinctly missing any indication that he thinks there is anything wrong with illegally entering the country. Finally, there’s the whole attack on the meat industry specifically and large companies in general. I’m not sure if Mr. Bacigalupi is actually pushing for vegetarianism–he stops short of coming out and saying so–but he definitely wants you grossed out over how your meat is processed. To this end, he paints a stridently unappealing picture. And of course, the company is large, rich and untouchable, above the law, threatening to bury the protagonists in legal costs if they tell anyone what they’ve seen, blah, blah, blah…. Can you tell I’m tired of the “large companies are inherently evil” trope? Setting aside the preachiness, this was at least moderately entertaining. The characters were a bit one-dimensional, especially the villains, and the segue from climax to epilogue was abrupt at best, but it did manage to keep me reading. Zombie aficionados should be aware that the zombies don’t play all that large a role in the story before the ending sequence–no Walking Dead here. On the other hand, this is a Young Adult novel. I wasn’t really expecting full-on zombie action. Instead, for most of the book Rabi and friends are up against Sammy or Milrow and its minions. Just be aware that your zombie action will be limited. CONTENT: Mild zombie violence. Some bullying, including racism. No language, no sexual content. *Probably not, but I think I’m legally obligated to say that when reviewing an ARC.